Plongez dans le paysage culturel de Bali lors d'une excursion de randonnée d'une journée complète au départ d'Ubud. Aux côtés de votre guide, vous visiterez le village de Taro, une colonie hindoue avec une histoire de 3 000 ans, pour découvrir le plus ancien complexe de temples de Bali. Contemplez les rizières émeraude, promenez-vous dans une forêt de bambous et passez devant des arbres pleins de fruits tropicaux tels que des mangues et des mandarines lors d'une randonnée de difficulté moyenne de 4 heures. Après un déjeuner balinais, vous vous émerveillerez devant temple Tirta Empul et dégusterez des cafés parmi les plus chers du monde dans une plantation de café luwak. We have been in a lot of hiking and sightseeing tours, but none as good as this one! We had an amazing time! Wayan is an experienced guide who gives you a complete Bali experience with a very personal touch! We liked him so much that we booked him for another excursion. This is a definite must do! Had a fabulous day trekking along the edge of rice paddies and in parts of the jungle. The sight seeing was also really enjoyable. The tour guides were really friendly and also knowledgeable. We had a great day. Customized to my requests. Great guide. I really enjoyed my time. 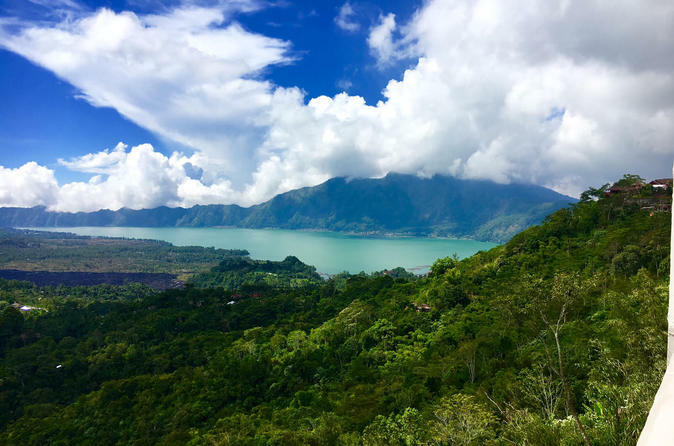 I got to see some amazing sites and learned so much about the Bali culture. My sister and I literally can't say enough about how incredible this entire experience was. 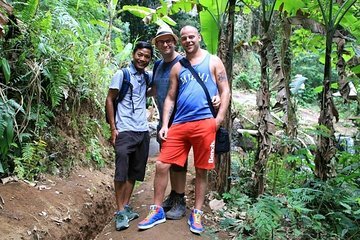 If you have a day in Ubud, this is the tour to sign up for! Baru, our lead tour guide and owner of Your Bali Excursion, met us in the lobby of our Ubud hotel, which couldn't have been more convenient. He and his fellow guide, Widyatmik, took us to see and do things during this amazing full-day adventure that we never thought we would get to experience. Some of the highlights of the day: Trekking through the Tegallalang rice terraces a little after sunrise Visiting Baru's village, one of the oldest in Bali Hiking through the jungle and crossing bamboo bridges that could have been straight out of a movie Trying Mangosteen, Passion Fruit, and Coconut Water directly from their sources Testing our rice-harvesting skills Eating a delicious lunch with a view of Mt. Batur that literally no picture could do justice Participating in Coffee and Tea tasting at a coffee plantation...and the list goes on! Baru truly goes above and beyond to ensure an unforgettable experience. A perfect example of this: At one point in the day, my sister and I mentioned that we had heard Ubud was the center for Balinese art/culture and wanted to get souvenirs before we had to leave the next day, but had no idea where to look. Instead of concluding the tour after the day's planned activities were over, Baru and Widyatmik took us to a wood carving, a silver engraving, and a batik painting shop, each operated by local, incredibly talented artisans. Needless to say, we found exactly what we were looking for. Take this tour, you will be SO GLAD you did! Absolute 5 star! We had two fantastic days with Wayan! He is flexible, knowledgeable, friendly and chatty, for us he was the perfect guide! The activities can be modified upon request and he goes above and beyond to make his guests happy! Highly recommended! Many thanks Wayan!